Our bottle jacks are extremely tough and built for use in garages, workshops and at home, so whatever application you need it for, we will be able to provide a suitable bottle jack. Here at SGS, we stock devices that are made by the biggest names in the business, including SPX Power Team bottle jacks and HyJacks products. Take a look at the full range online today. 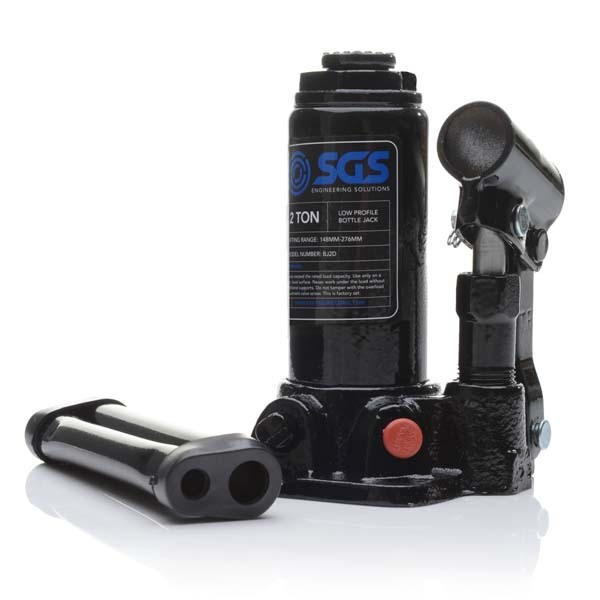 You can find a selection of SGS bottle jacks for sale, with everything from a car bottle jack to a hydraulic bottle jack available in our diverse range, available with UK next day delivery. Here at SGS Engineering, we stock a wide range of top quality machinery and components, including a selection of the finest bottle jacks the UK has to offer. A hydraulic bottle jack has a number of uses and if you need one you have come to the right place. Our bottle jacks are extremely tough and built for use in garages, workshops and at home. There’s a bottle jack for every application in our range. 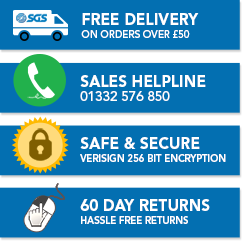 Here at SGS we stock devices that are made by the biggest names in the business. You can find a selection of HyJacks bottle jacks for sale, as well as SPX Power Team bottle jacks. Power Team devices are suitable for daily use in the most demanding environments and they are covered by a Lifetime Warranty. If you want to buy a top quality bottle jack that will work effectively and stand the test of time, this is the place to be. If you buy a bottle jack online here at SGS you can take advantage of our excellent prices, which you will struggle to find elsewhere. Here you can choose a bottle jack capable of lifting from 2 to 110 tons, so whether you need a device for a garage, a farm or for use at home, you will be able to find an ideal product here. Take a look at the car bottle jacks available online here at SGS and choose one today. Then simply order your hydraulic bottle jack and take advantage of our fantastic next day delivery service. Lifting and working under a vehicle is an essential requirement for any home garage. Without the right lifting equipment, working under a car can be very dangerous. Learn how to safely lift a car with a set of axle stands and a trolley jack with this handy how-to guide from our experts here at SGS Engineering.